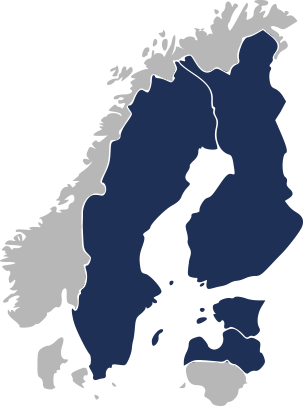 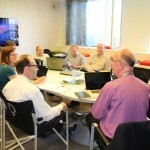 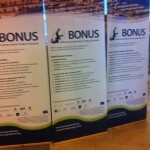 Workshop was to present the results of the BONUS ESABALT project to the Baltic Sea maritime stakeholders.The Workshop had strong representation of other BONUS projects in the list of speakers, such as BONUS STORMWINDS, BONUS GEOILWATCH, and BONUS ANCHOR. 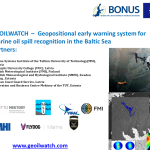 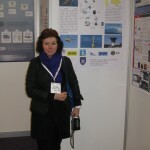 Rivo Uiboupin from Tallinn University of Technology Marine Systems Institute present the GEOILWATCH BONUS project. 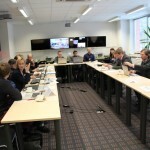 On the 26th of November GEOILWATCH BONUS project partners meeting was held at the premises of Latvian Coast Guard Office. 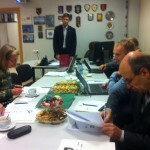 Thank you for Ojars Gerke, we had an exellent oportunity to visit Latvian Coast Guard SWATH patrol vessels. 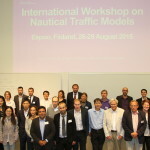 Participants from Department of Navigation and Positioning Finnish Geospatial Research Institute (FGI) and BONUS ESABALT project; Latvian Coast Guard Sercice, Danish Maritime Authority.